Few marketing tech categories have enjoyed as much instant attention as the Customer Data Platform (CDP). In less than 18 months, it graduated from "What's a CDP?" to a topic for RFP's without stopping for breath. A lot of our customers tell us they are intrigued but also somewhat bewildered by what they're hearing from start-ups and pundits alike. The inevitable backlash has already arrived. Last October, Forrester released a report warning, "For B2C Marketers, Customer Data Platforms Overpromise and Underdeliver. "1 And a recent Winterberry Group analysis claimed that only about one in five of the 100+ vendors calling themselves a CDP actually qualify. It's time to clear up the confusion. What’s really needed is for someone to put a stake in the ground and deliver the first real enterprise-grade CDP built for marketers. Data Integration: Marketers use data from a median of 15 sources, up 25% since 2018, according to our State of Marketing report. Each new source ups the need for integration. Customer-Based Marketing: Moving from segments and personas to hyper-targeted messages requires identity and consent management. Both are very difficult to do. Predictive Analytics: We project an average growth of 2.6X in the use of AI by marketers, mostly to improve segmentation, propensity models, and recommendations. The future is already here. Real-Time Response: In addition to pre-planned campaigns, marketers need to respond better to prospects and customers when they’re engaging with their channels. I am excited to share today that Salesforce is building the first enterprise-grade Customer Data Platform. Our Customer Data Platform is a natural extension of Salesforce Customer 360, which was announced at Dreamforce and will be generally available later this year. 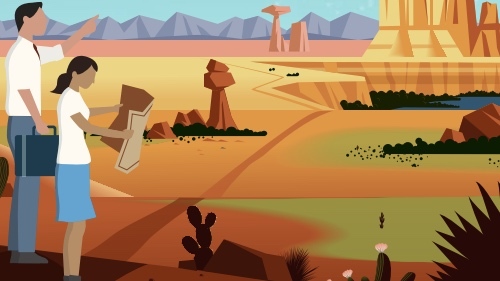 Salesforce Customer 360 helps companies easily connect and resolve customer data across Salesforce and 3rd party applications with a single customer ID. Our Customer Data Platform builds on this unified identity foundation to deliver a “single view of the customer” for marketing professionals. For example, a marketer would use Salesforce Customer 360 to discover that Customer A and Customer B in two different systems are actually the same person. They would use the CDP to build and store a unified profile of that person based on data collected with consent from point-of-sale, e-commerce, website, mobile app and other sources. Tool for Marketing: Although it has enterprise-wide uses, the CDP is a tool for marketers first, emphasizing an intuitive user interface. Identity Beyond Advertising: Limiting a CDP to marketing data misses the bigger picture -- making every customer touchpoint (Service, Commerce) relevant and engaging. Insight and Engagement: A market-leading CDP needs to provide a single customer view (insight) and a way to reach customers directly (engagement). More details about our CDP will be officially announced June 17-19 in Chicago at Connections, our event on the future of customer engagement. At the end of the day, the CDP is not really new. It embodies a long-held desire to build a single view of the customer, from common data sources, and to make that view available for analysis and activation. Those of us who worked on some of the early CRM systems for marketers feel a sense of deja vu. That's exactly what CRM, marketing automation, and campaign management platforms have been trying to deliver for years: accurate customer data that can be used across channels. However, each year marketing gets more complicated and customer data fragments. Customers use an average of five devices and engage with brands on as many channels, according to our recent State of Marketing report. At the same time, platforms such as Amazon and Facebook use their information advantage to deliver hyper-personalized, engaging moments, raising the bar for everyone. Meanwhile, the marketer's basic need to understand her customer and deliver better one-to-one engagement remains as strong as ever. Salesforce is not entering new territory here. From our founding twenty years ago, we started with an obsessive focus on customer success. And now we are building a CDP that is natively connected and accessible to the #1 CRM across Sales, Service, Communities, Commerce, and Marketing. 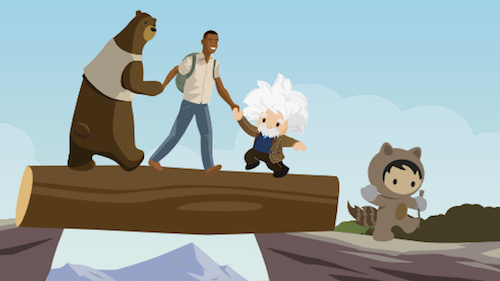 The two major CDP themes of “Insight” and “Engagement” won't surprise the thousands of Trailblazers who already use Salesforce Marketing Cloud. We have been building toward them for years. Our native analytics and integration with Google Analytics 360 already deliver insights, and Marketing Cloud powers real-time engagement across channels. While we meet many CDP requirements today, as I said in an interview last year, we are also always listening to our customers. We believe the time is right for a dedicated solution designed to help them manage their customer data better, using advanced technology, at the scale and with the built-in trust they can only get from a partner such as Salesforce. On a personal note, I am excited by the way our engineers can address this challenge, ultimately bringing something new and transformative to the market. It will go a long way toward helping our customers to succeed for the foreseeable future. 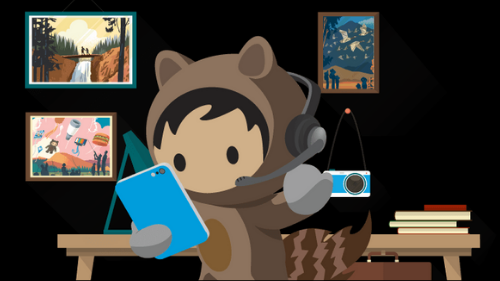 I look forward to sharing more details about Salesforce and our CDP adventures in the months to come.